All-cash deals hit a record 43% of home sales during the first three months of 2014, according to RealtyTrac. Want to buy a home? Better be carrying lots of cash. All-cash deals hit a record 43% of home sales during the first three months of 2014, according to RealtyTrac. That's up from 19% a year earlier and the highest level reported since RealtyTrac began tracking the deals in early 2011. The jump is due to two main factors: strict lending standards that make it difficult to get a mortgage and intense buyer competition. "Inventory shortages, as well as lending regulations favor the all-cash buyer," said Chris Pollinger of First Team Real Estate in Southern California. Even buyers who would ordinarily finance their purchases are making all-cash offers to appear more attractive to sellers, said Daren Blomquist, vice president at RealtyTrac. "If they have the ability to, homebuyers will put up cash bids just to jump to the front of the line," he said. After all, cash deals stand a better chance of closing on time. Buyers dependent on financing may run into snags due to strict mortgage underwriting standards. Interestingly, the increase in cash sales is occurring despite a downturn in purchases by institutional investors -- firms that have been active in buying foreclosures and short sales with cash. "As institutional investors pull back, there is still strong demand from other cash buyers -- including individual investors, second-home buyers and even owner-occupant buyers -- to fill the vacuum," said Blomquist. Related: Cost of living: How far will my salary go in another city? Cash buyers paid an average of $207,668 for homes during the first quarter, a 13% discount to the properties' average estimated value, according to RealtyTrac. Part of that disparity is due to the fact that a quarter of the sales were of homes either in the foreclosure process or already foreclosed on by lenders. Such distressed homes typically sell below market value. Once riddled with foreclosures, Cape Coral, Fla., had the highest level of all-cash deals at nearly 74% of first quarter sales, according to RealtyTrac. Four other Florida cities followed: Miami (67%), Sarasota (65%), Palm Bay (64%) and Lakeland (62%). Miami, New York, Boston and coastal California cities are attracting a lot of foreign buyers who are paying in all cash, according to Jeff Meyers, founder of Meyers Research. In Miami, Latin Americans are putting down deposits of 50% or more on apartments in the early stages of development, enabling builders to self-finance the rest of the building or leverage bank loans at attractive rates. 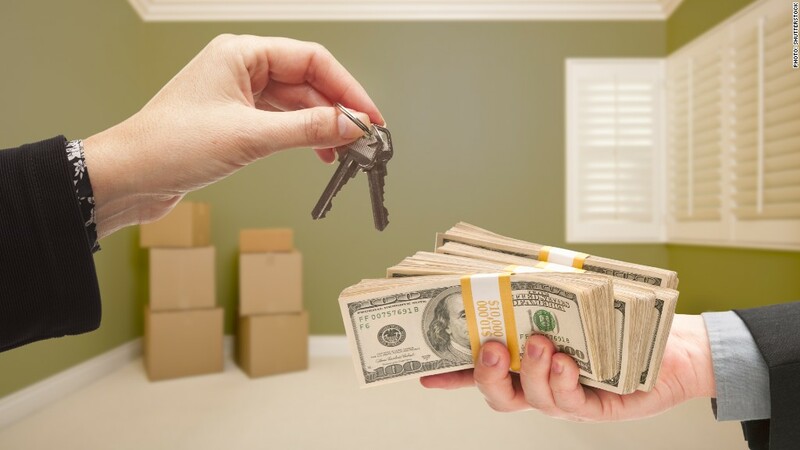 The buyer then pays the balance in cash at the time of occupancy. In California, Chinese nationals and immigrants are "parking their cash in single-family homes," said Meyers. In Irvine, Calif., for example, 80% of sales over the past year were to Chinese buyers, he said.